Muslim reservation: promised by many, given by few. What holds govts back on this important issue? Former Prime Minister VP Singh, a champion of social justice, used to say that Muslims should be vote managers and not a vote bank. However, far from becoming 'vote managers', the community has not been able to rise beyond menial jobs like bus conductors and peons. The current Muslim leaders in Uttar Pradesh have ample opportunities to fight elections. But, their lips are sealed over the present circumstances of their community. On the top of this, they are also prone to insult. Most industries employing Muslims in the state have shut down. At a time when the issue of reservations is back in public debate, and Jats are up in arms for a quota in government jobs, the issue of Muslim reservation also deserves serious consideration. Shivpal Yadav, a senior minister in the Akhilesh Yadav government and one of the top leaders of the Samajwadi Party, has recently remarked that there are 'technical' difficulties in providing 18% reservation to Muslims. Such statements require political courage. Few leaders have gumption like Shivpal to state the obvious in no uncertain terms. However, the question remains why political parties make promises that they cannot fulfill within the Constitutional limits, and also, why do people fall for such hollow rhetoric? Politicians like Shivpal should also explain why don't they speak out when their parties fool people in such a manner. There is a historical perspective to the backwardness of Muslims in the country. Indian Muslims are deeply entrenched in the caste system. The Muslims also have pandits, weavers and other low-caste groups. The advent of Islam in Indian sub-continent, as well as reform movements led by Sufis and Ulemas, have sought to emancipate the backward communities. However, the notion of equality for the downtrodden classes does not extend beyond the mosque walls. The conduct of Indian Muslims is much different outside their places of worship. One can safely assume that Muslim converts only accepted the mosque. They did not shun the oppressive caste system inherited for centuries. This writer remembers how Muslim dhobis or people belonging to the Ansari community used to sit below the upper caste members of their community in a village in Jaunpur. The affluent Muslims often used the names of lower castes as expletives. In short, the condition of backward classes is no different among Muslims than in the majority community. Muslim religious leaders have tried to break the shackles of the caste system. But, their efforts have not succeeded beyond mosques. In reality, even the mosques and their imams are divided along the lines of various sects. The Muslim clergy has the authority to declare any member of the community as non-Muslim. Tauqeer Raza Khan, the Sunni Muslim scholar of Barelvi sect, was recently dispossessed from Islam in a similar manner. The influence of the progressive group within the Ulemas could never extend to the whole Muslim society. They could not even motivate Muslims for inter-caste marriages. To expect them to take an initiative for the social, economic and political upliftment of Muslims would be far-fetched. The business activities of Ashrafs, or the noble class among the Muslims, always depended on Ajlafs and Arjals (the lower-caste Muslims). It was the Muslims of the lower castes that did most of the hard labour, like making utensils, sewing and washing of clothes, cutting hair etc. These backward class Muslims lagged behind in education, society and politics under the tutelage of Ashrafs, as the latter continued to enjoy the exploits of their labour. The upper caste groups of the majority community were ruffled in the wake of social justice movements, like the Mandal Commission agitation. Upper class Muslims also presented the same argument as their counterparts in the majority community to oppose Muslim reservation. They alleged that this demand is a conspiracy to divide Muslims along caste lines and, if at all, the reservation should only be on the basis of economic status. Economic reservation is essentially a Brahminical and RSS agenda, and Ashraf Muslims have happily supported it. The exploited class among Muslims is currently getting benefit of reservation under the 27% quota prescribed by the Mandal Commission. Eighty per cent of the population of this country should be grateful to VP Singh for implementing the recommendations of the Mandal Commission. These 80% should also understand the conspiracy behind Singh's ouster from power, following this courageous step. His government paid the price for taking this bold decision. Nevertheless, the backward classes got their due. Now, the RSS has set its sights upon the same right. This is despite the fact that most of the remaining 50% jobs are dominated by the upper castes. The wooing of Muslim electorate with the promise of reservation is an old ruse among the political parties. The BJP is now also doing the same. Thankfully, its attempts have been foiled by the Punjab & Haryana High Court, in the case of Jat reservation. During the last UP Assembly elections, the then-Union Minister for Minority Affairs, Salman Khurshid, had announced 3.5% quota for Muslims. However, the decision could not withstand judicial scrutiny. Both BSP and the ruling SP have promised 18% reservations to Muslims in their manifestos. But, they have done nothing to implement it on the ground. The reason is the Constitutional bar on reservation exceeding the 50% limit. This statutory limit of quota has already been reached, and things can move forward only if the Central government decides to amend the Constitution. The Samajwadi Party has agreed to take steps in this direction after four years in power. It has declared the intentions to present a proposal before the Centre to increase the Constitutional limit of reservations, so that Parliament can approve it. However, Constitutional experts as well as reservation activists think it is an immature effort. Even if the Parliament passes such an amendment, it would lead to a new tussle among the upper castes of every religion. The benefit of reservation is not a cake for everybody to share; it is a Constitutional remedy for the persecution that Dalits, Adivasis, and other backward classes have faced for centuries. The progressive lot among the upper castes can understand the misery of the weaker sections. An eminent scholar told this writer there is no scope for elitism in Islam. There is no 'His Highness' in this religion. It does not mandate standing in reverence to any guest in a public gathering. The same scholar related an anecdote from Islmaic mythology to prove his point. Once, Prophet Muhammad was participating in a meeting. Hazrat Umar and Hazrat Ali were also part of the conglomeration. Hazrat Bilal also joined them as soon as the meeting began. He belonged to the society of slaves that was considered untouchable in those times. When Hazrat Ali saw that there was no place for Hazrat Bilal to sit, he offered his own seat. Prophet Muhammad smiled at this gesture and remarked, " Ali, only a jeweller knows the worth of a diamond." My scholar friend stressed that Hazrat Bilal was given an equal place in the gathering, regardless of this social background. He insisted that this was a true example of social justice and reservation. Nobody should stand in the way of Muslims getting quota benefits through Constitutional means. We must acknowledge that the caste system is equally prevalent among Muslims and fight for their cause. Unfortunately, the ruling class is surrounded by the feudal Muslims, the Ashrafs. The Muslim leaders who are elected from reserved constituencies are either afraid to go against the party line, or they simply don't understand the concept of reservation. The deprived Muslims have a secondary place in the policy decisions of political parties. Therefore, they must look for new ideals and representatives. 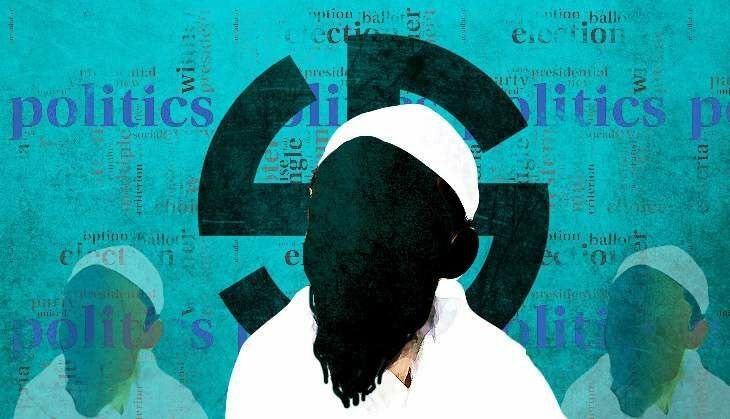 The states of Kerala, Tamil Nadu, Andhra Pradesh and West Bengal have provided quota to Muslims on the basis of social and educational backwardness. Left Front leader VS Achuthanandan was instrumental in giving 12% reservation to Muslims in Kerala. The governments of Tamil Nadu (3.5%), the erstwhile united Andhra Pradesh (4%) and West Bengal (10%) followed the lead in implementing the provision through the sub-quota system. The courts have upheld this arrangement of reservations to Muslims. The effect of this positive discrimination is evident among the Muslims of Kerala. They are relatively well-off in education, as well as other development parameters than their counterparts in other states. The Muslims of UP & Bihar must work for the eradication of caste exploitation in their communities, if they want to reap the same benefits. The governments of these states must closely study the success of reservation policy for Muslims in the other states and implement the same model. The political parties must honestly explain to the masses where the Constitution draws the line for reservation. The BJP should communicate this to the Patidars of Gujarat as well as the Jats of Haryana, who have held the states to ransom for their quota demands. The same applies to the Samajwadi Party government in UP. The Akhilesh Yadav government must follow the sub-quota model of Kerala, if it is really serious about giving reservation to Muslims. Nobody expects the powerful Muslims leaders of Samajwadi Party to be Hazrat Ali. But, they could at least emulate VP Singh, who cared for the deprived segments despite belonging to an upper caste. Hindu mobilisation, Muslim fear: is Dadri the Hindutva road map for UP polls? READ NEXT >> Hindu mobilisation, Muslim fear: is Dadri the Hindutva road map for UP polls?